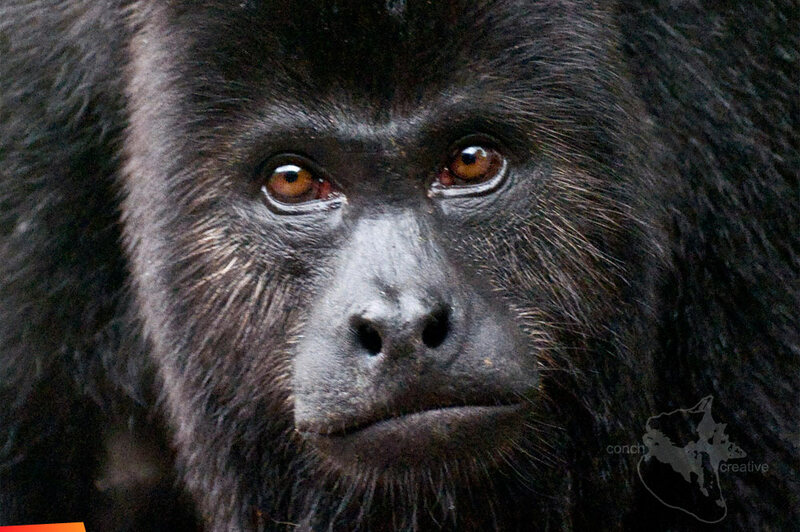 Taken at Lamanai Outpost Lodge, this endangered Black Howler Monkey, a young male, was curious and approached us while foraging in the trees with his troupe. It is truly amazing to be able to be able to have these sort of encounters with Belizean wildlife in our beautiful rain forests. They were not particularly active at night - we heard more vocalisation in the day time while we were there. They are quite beautiful and very entertaining. This group had a baby, who was just adorable. It was very amazing. They were so unafraid and came very close to us - maybe a bit too close for comfort at times. You never forget they are wild animals and it is just wonderful to see them truly wild and free.